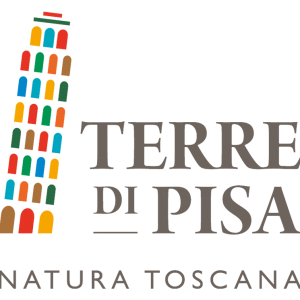 From December 8, 2018, the PALP Palazzo Pretorio in Pontedera is hosting the exhibition Orizzonti d’acqua tra Pittura e Arti Decorative. Galileo Chini e altri protagonisti del primo Novecento (Water Horizons in Painting and the Decorative Arts Galileo Chini and other early 20th-century artists), curated by Filippo Bacci di Capaci and Maurizia Bonatti Bacchini and sponsored by the Cultura Pontedera Foundation, the City of Pontedera, the Pisa Foundation, with the patronage of the Region of Tuscany. 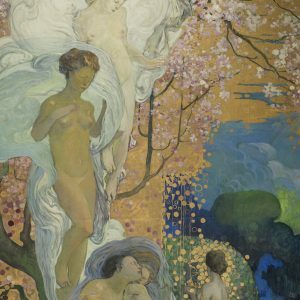 The exhibition, which will run until April 28, 2019, features Galileo Chini, one of the most important artists of International Modernism, and other artists who shared experiences from that period with him, from Symbolism to Art Nouveau, the Viennese Secession and the suggestions of Orientalism. 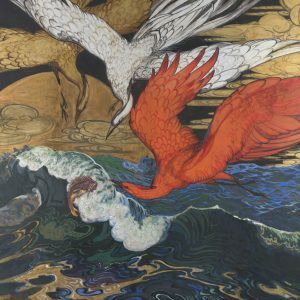 The theme of the exhibition will be water, a recurring subject in those artistic movements that identified with Symbolism and Divisionism between the nineteenth and twentieth centuries. Water is the common thread that will accompany visitors all through the exhibition, a constant in Chini’s work and an element that speaks of the artist’s sense of harmony with his backgrounds, sometimes fresh water, sometimes sea water, from the Arno to the river in Bangkok, from Venice to swimming beaches and spas in Viareggio, Montecatini and Salsomaggiore. Nor does the exhibition exclude the ceramic arts, one of Chini’s many fields of expression, and one which allowed him to become part of the international circuit and establish himself as one of the first interpreters of Art Nouveau in Italy since 1898: marine fauna are his subjects and they decorate vases, plates, tiles. 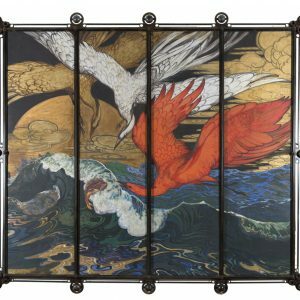 In these pieces, the artist vies with nature in the variety of his compositions and colours, rendered with gorgeous lustre enamels. 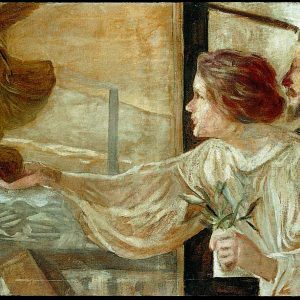 Opening the exhibition, in the first room, is the painting “La quiete”, exhibited in 1901 at the fourth edition of the Venice International Biennale, an event that contributed to the success of the artist and his cosmopolitan nature. In fact, it was in Venice in 1907 that the king of Siam had the opportunity to appreciate the exhibition in the Sala del Sogno, and decided to entrust Chini with the decoration of the new Ananta Samakhom Throne Hall in Bangkok. 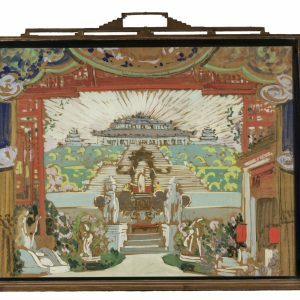 The Thai experience had a decisive influence on Chini’s artistic baggage, involving easel painting, and ceramic decoration and production: Chini’s direct encounter with the Orient, which led to Puccini commissioning him to design the set of Turandot, made his orientalism unique rather than fashionable. The exhibition is divided into four sections: Symbolism and Divisionism, Water as a subject in decorative work, Orientalism and the Secessionistic and Klimtian phases, each of which will exhibit paintings, sketches and ceramic artefacts to bring the visitor closer to the complexity of Galileo Chini’s work. Placed next to these, in a constant comparison, will be the works of the other great 20th-century Italian artists, such as Plinio Nomellini, Leonardo Bistolfi, Duilio Cambellotti, Aroldo Bonzagni and, in the group of Tuscans, Salvino Tofanari, Moses Levy and Lorenzo Viani. Also on display is a tapestry by Vittorio Zecchin, the Venetian artist. 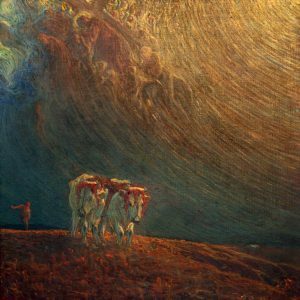 He was highly instrumental in translating the Klimtian spirit into Italian art and, like Chini, he filtered the decorative language of the Viennese Secession. Finally, there will also be an extraordinary discovery: the plaster version of Auguste Rodin’s La Danaide, an object exchanged between the sculptor and Galileo Chini when they met, which probably occurred in Venice in 1901. The winners of the literary contest "GIOCHI E GIOCATTOLI"